Apply Dermesse products for a serious skin care solution. You can now experience professional, prescription-strength skin care in the comfort of your own home. 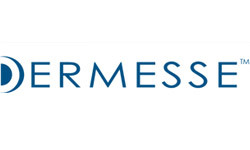 Dermesse skin care products help rejuvenate your skin for a healthier, younger-looking complexion. This line helps balance and restore skin with formulas created for acne, fine lines and wrinkles and discoloration. Love it. Goes on smoothly and removes makeup without having to scrub and scrub! My skin feels so clean and fresh after using this product and I love it. I have used Dermesse vitamin C serum for quite awhile-actually have used several Dermesse products. My skin looks so smooth and does not look dull at my age which is 70. I believe the product has helped it look very healthy and helps protect it from the environment of wind, dry air, sun etc. Thank you, when I order the product, I always receive it in a very timely manner and have never had any problems with the order. I am so glad that I have found LovelySkin.